What Are the Benefits of Buying and Selling With Our Agents? Whether you’re looking to buy a new home or you have a property you want to sell, finding the right real estate agent is definitely important. At Crager Real Estate, our agents have experience working with both buyers and sellers, and our proven system ensures you always get the very best results. It takes more than simply listing a home in order to get it sold. With innovative marketing, our agents are able to reach a wide range of potential buyers in order to ensure you have the best chance of finding the right buyer for your home. It starts with a short walk through your home in order to identify unique characteristics, amenities, and overall condition. We’ll be able to provide sellers with a comprehensive evaluation of the local area showing not only recently sold, but also properties that are currently on the market. We’ll help you determine the right listing price for your home so that you have a competitive price that will bring in interested buyers. Our agents are also experts in all fields of real estate, so they’ll be able to provide tips on staging your home as well as how you can best leverage your position as a seller. Of course, when it comes to marketing your property, we know how to use the latest tools and strategies to provide the best coverage as soon as your property is listed. Many sellers don’t realize how important it is to generate interest as soon as the property is listed, but our agents will work with you to develop a marketing strategy that is unique for your home. While we are proud of our proven system of generating a fast sale, we do understand the importance of individualizing the sales approach for your specific property. Today, that often means reaching out to buyers who are searching online, but it can also mean identifying local markets. If you are interested in buying a home, whether you’re a first time home buyer or you are downscaling after the kids have gone off to college, one of our experienced agents will be able to work with you to find a property that meets your needs. 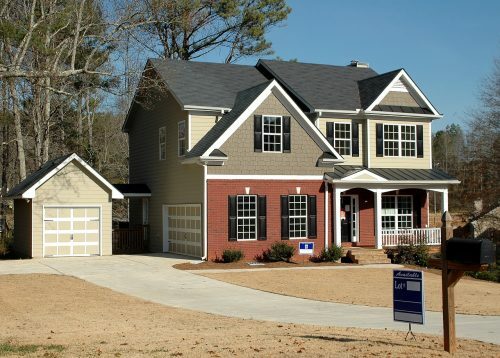 We will first discuss your preferences as well as the specifics of the property you would like to buy. We specialize in finding homes for all types of buyers, and our real estate agents are always working with new sellers, so we have a keen understanding of the local market. We’ll help you find your new home without showing you a bunch of properties that don’t meet your criteria. As an experienced company with real estate agents who specialize in working with both buyers and sellers, you can always count on Crager Real Estate to help you with your real estate needs. We take pride in offering exceptional service to every customer, and we’re thrilled to have many clients who not only come back to us when they need to buy or sell again, but they also refer their family and friends. Contact us to start your buying or selling journey with us today.